Home > Dance & Education > Dance Summer Schools: Are They Worth It? These days, there are plenty of options to keep children occupied during the summer, and these activities range from basic activity classes in the day to full-on, American style summer camps. While the range of things on offer means there is something to please every child, the cost can also be significant, and therefore it is not surprising that parents will want to find out if the camps are worth it before they sign up their child. As with most things, the better the child is at a particular activity, the more intensive the summer school option. Dance is no exception to this, and children who are becoming serious about their dance will no doubt some home from classes with a multitude of ideas about what they want to do over the summer. So, the question is for mums and dads, are they worth it? The most common type of summer school for aspiring dancers is a week-long event where the children attend on a daily basis, and perform a show at the end of the week. These can be general dance or themed around a particular type of dance, which can be perfect if your child has an interest in one particular genre. These week-long summer schools also cater to a wide range of ages, with some being for those very small children and some being for teenagers. There are even some for all ages, which do, of course, have the advantage that siblings could attend together, even if there was a wide gap in their ages. 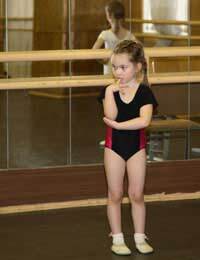 The week-long courses which have a show at the end are generally a good idea for any child who has more than a passing interest in dance but does not yet have an overriding passion to do it all day every day. And they have to be worth the money the parents pay because of that show at the end. The show is the parents’ way of getting to see what their child has achieved during the week and what their money has paid for. Even if the child has not got lots of talent, it should be evident that they have learnt something in the week, and moreover, that they have had fun. The better schools do tend to be those which cater to a particular age range rather than try to cover off all ages. Although, these do have their advantages, as stated above, being able to send siblings to the same one is helpful, but the chances are that your child will benefit more if they are part of a more focussed group in terms of age. Of course, one of the best ways to tell if the course you are looking at for your child is worth the money, is recommendations. Your child’s usual dance school will probably be able to recommend a good summer school if that is what you have decided you want to do. In addition, talk to other parents who may have sent their children to one in the past and may have opinions and insights which you find useful. But above all, make sure your child is happy with the choice themselves. There can be nothing worse than paying through the nose for the very best standard of teaching if your child would actually prefer being on a completely different course.